Welcome to OrchestrateHR, merging Employer Services, Insurance and Powerful Technology. OrchestrateHR offers multiple services under one roof geared toward lowering operation costs to clients. The core services include human resource technology, human resource consulting, employee benefits consulting, third party administration, and managing general underwriting. Based in Dallas, Texas, OrchestrateHR has been in business for 50 years and currently serves over 5,000 clients with 400 corporate employees and offices in 13 different states. In addition to OrchestrateHR services, we offer multiple services under one roof geared toward lowering operation costs to clients. As the only company focused in campus health, Vivature makes it possible for health centers and athletic departments to bill insurance companies as in-network providers. School Office Services is comprised of HR professionals who are committed to providing HR resources and risk management support to business officers working in schools and businesses across the US. 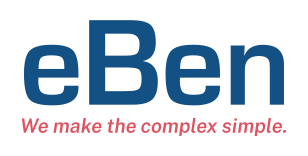 EbenConcepts is partnered with OrchestrateHR to provide preferred access to a comprehensive suite of employer funded and voluntary insurance products for clients of all sizes.